The process of creating and reflection upon autobiographical memory is an everyday practice that is typical within the human experience. When music becomes integrated into personal memories, an invitation to remember is provided through both purposeful listening activities and incidental engagement with music in the everyday. The result is a metaphorical canon of music that accompanies life experiences. The Lifetime Soundtrack investigates musically motivated autobiographical memories as they relate to the lifetime soundtrack in order to provide further understanding of their occurrence, nuance, emotionality, and function for individuals. Drawing on in-depth discussions with younger and older adults, each chapter reflects on a common theme or aspect of musically motivated memory. People, places, and eras feature frequently, with memories of childhood, family, past romantic relationships, and the major and minor events occurring within them acting as prime sites for memory and music interaction. The book also considers the ways in which musically memory may manifest differently for trained musicians, for whom music represents both leisure and work. Forging a broad foundation in an overlooked area, this study brings together sociological views on the personal use of music and existing ideas on the workings of human memory. At the same time, it aims to fortify the concept of the Lifetime Soundtrack as a sociological concept with broad application in future research. In so doing, the book highlights the significance of music-enhanced reflection as a tool for the composition of meaning within everyday life. The introduction to the book will provide the reader with a foundational view of memory studies, and position investigations into musically motivated memories within this field. It will encourage the understanding of memory as an interdisciplinary domain where concepts from the scientific study of memory can be harnessed to produce a holistic appreciation. An overview of central tenets of the research will be given here, including ideas such as the Lifetime Soundtrack, mediated memory, personal memory, and narrative; these are noted here and elaborated upon in Chapter 1. This section of the book will provide a discussion on broader elements of media interaction with memory, thereby contextualising the occurrence of musical memories in the everyday. It will also define the boundaries of the research, including definitions of key terms. The method of data collection and the demographic of research participants will be briefly described, with the purpose of legitimising the research on which the book is based. The Introduction will also provide an overview of the remaining chapters, including the main topics and discussions taking place in each. This chapter has two principle functions: firstly, it will provide the reader with a thorough overview of autobiographical memory and its relation to music. It will prepare the reader for the analysis chapters by outlining our current understanding of musical memory through reference to sociological, cultural and scientific literature. The second function of this chapter is to explore new concepts that are central to the following chapters, including ideas pertaining to the Lifetime Soundtrack, cloud memories, emotion, and the use of music and memory in everyday life. These original ideas encourage a more considered approach to understanding musical memories, providing theoretical frameworks through which the topic can be comprehensively explored. In this chapter, I will argue that musically stimulated autobiographical memory can provide individuals with a way of understanding their life experiences as meaningful, and that everyday listening provides opportunities for engagement with mnemonic processes. This chapter examines the way in which emotion, and by extension, affect, is embedded within and activated by musically motivated memories. It argues that while strong emotion is often associated with musical memories, the affect that is produced by listening to personally salient music is somewhat more useful in explaining the triangulation between music, memory and feeling. The presence of both positive and negative emotions is integrated throughout the chapter, including a critical examination of the concept of nostalgia for its role in reflection upon musical memories, and its application in present contexts. Participant narratives are used to demonstrate the complexity behind emotional memories, including unexpected physical and mental reactions to music. Therein, both commonplace and novel scenarios for the inception of emotional memories including romantic relationships, bereavement and loss, and lifetime milestones are unpacked. The chapter also raises questions about the purposeful use of music to provoke emotion, and the intention behind the creation of literal soundtracks for special events. This chapter conceptualises the link between music and autobiographical memory through comparison to philosophical ideas of the archive. Within, I propose that elements pertaining to music listening experience are able to effectively capture and store personal memories, which can then be retrieved upon rehearing salient music. To support this theory, ideas comparing the fidelity of music technology and the fallibility of human memory are examined and expanded upon. The chapter argues that musical elements such as lyrics and sound, as well as the para-musical elements of listening technology and physical entrainment produce an effective archive system due to the complimentary properties of both music and memory. This chapter is supported by the particularly unique ways participants described their connection with music; the typically ineffable nature of music perception is emphasized here through the range of ways interviewees perceived their relationship between sounds, lyrics, movement, and technology. 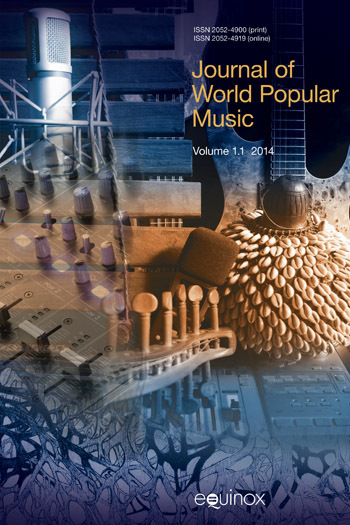 Chapter Five will concentrate on the experience of research participants who identified as being musically trained. Musical memories narrated by musicians possessed characteristics that were distinct from non-musicians narratives, which raises questions about the processes of association and reflection utilized by this group. 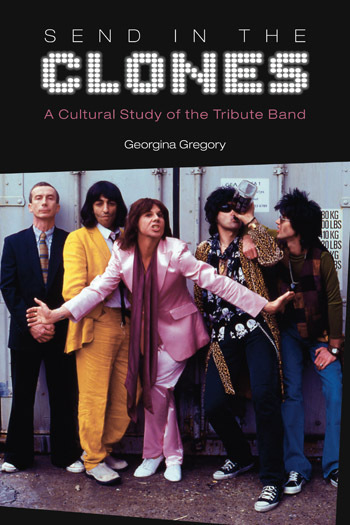 This chapter will explore the ways in which musicians’ and non musicians’ memories were divergent, focusing on the perceptions of these recollections by interview participants. Concepts such as emotion, ageing, and embodiment are covered in this chapter with special emphasis on how these aspects are enacted for musicians in both performative and listening contexts. The chapter also draws on musicians’ experience of music-making as “work”, which can result in more negative emotional associations with music than provided by non-musicians. It offers suggestions as to why and how musicians might experience music differently, potentially enacting different practices of memorialisation. This concluding chapter synthesises the ideas raised by the previous chapters to produce a sociocultural perspective on the workings of musically motivated autobiographical memory in everyday life. Key concepts of the Lifetime Soundtrack, affect, archives and musicianship are reiterated for their relation to a renewed perspective on memory, and are discussed in terms of their future application in memory and music research. Some of the preeminent ideas from previous research reviewed in Chapter 1 are revisited in order to exemplify the ways in which they have been expanded through original ideas and empirical evidence brought to light throughout the book. This chapter argues for a greater consideration of autobiographical memory within music sociology and cultural research, such that memory can be seen as a missing intermediary link in studies of music perception and social interaction. Finally, the chapter emphasises the importance of musical memories as a tool for meaning-making throughout life, but especially in older individuals. Ways in which this concept may be used in wider contexts are discussed with reference to areas both within and external to memory studies. The process of creating and reflection upon autobiographical memory is an everyday practice that is typical within the human experience. When music becomes integrated into personal memories, an invitation to remember is provided through both purposeful listening activities and incidental engagement with music in the everyday. The result is a metaphorical canon of music that accompanies life experiences. The Lifetime Soundtrack investigates musically motivated autobiographical memories as they relate to the lifetime soundtrack in order to provide further understanding of their occurrence, nuance, emotionality, and function for individuals. Drawing on in-depth discussions with younger and older adults, each chapter reflects on a common theme or aspect of musically motivated memory. People, places, and eras feature frequently, with memories of childhood, family, past romantic relationships, and the major and minor events occurring within them acting as prime sites for memory and music interaction. The book also considers the ways in which musically memory may manifest differently for trained musicians, for whom music represents both leisure and work. Forging a broad foundation in an overlooked area, this study brings together sociological views on the personal use of music and existing ideas on the workings of human memory. At the same time, it aims to fortify the concept of the Lifetime Soundtrack as a sociological concept with broad application in future research. In so doing, the book highlights the significance of music-enhanced reflection as a tool for the composition of meaning within everyday life.